August 7, 2017 – A solar instrument package designed and built by CU Boulder’s Laboratory for Atmospheric and Space Physics (LASP) and considered a key tool to help monitor the planet’s climate has arrived at NASA’s Kennedy Space Center in Florida for a targeted November launch. 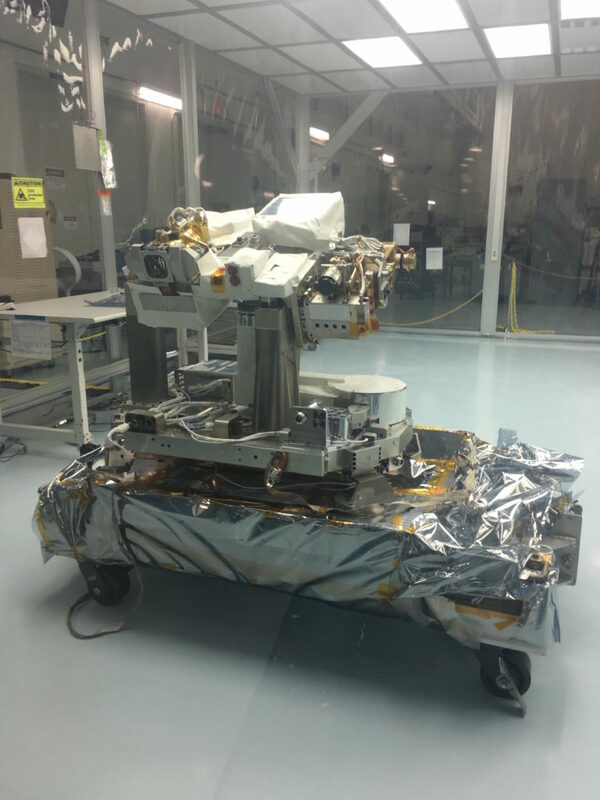 The instrument suite is called the Total and Spectral Solar Irradiance Sensor (TSIS-1) and was built for NASA’s Goddard Space Flight Center in Greenbelt, Maryland. The contract value to LASP is $90 million and includes the instrument suite and an associated mission ground system. TSIS-1 will launch on a commercial SpaceX Falcon 9 rocket in a Dragon capsule for delivery to the International Space Station (ISS). From there it will monitor the total amount of sunlight hitting Earth, as well as how the light is distributed among the ultraviolet, visible, and infrared wavelengths. “We need to measure both because both affect Earth’s climate,” said Dong Wu, the TSIS-1 project scientist at NASA Goddard. LASP Atmospheric Scientist Peter Pilewskie, lead mission scientist on the project, said TSIS will continue a 39-year record of measuring total solar radiation, the longest continuous climate record from space. TSIS consists of two instruments, including the Total Irradiance Monitor (TIM), which measures the total light coming from the sun at all wavelengths, said Pilewskie. The second LASP instrument, the Spectral Irradiance Monitor (SIM), will measure how the light from the sun is distributed by wavelength and absorbed by different parts of the planet’s atmosphere and surface. One reason the SIM instrument is important is because measurements of the sun’s UV radiation are critical to understanding the condition of Earth’s protective ozone layer. The TSIS instrument suite will be operated remotely from the LASP Space Technology Building in the CU Research Park. The project involved about 30 scientists and engineers at LASP during its peak, as well as 10 additional support personnel from Colorado and about 10 more from outside of Colorado, said TSIS-1 Project Manager Brian Boyle of LASP. The mission, slated to run at least five years, also has involved about 15 to 20 CU-Boulder undergraduate and graduate students to date. LASP has made solar radiation measurements from orbit on seven missions since 1975, including the $100 million SORCE satellite designed, built, and controlled from campus.